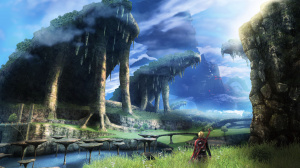 In a turn-up for the books, Japanese RPG Xenoblade Chronicles has sold well enough to make it to seventh place in the official UK charts. It wasn't the only Nintendo title to make it into the top 10 though: Legend of Zelda: Ocarina of Time 3D continued its post-3DS price cut rise up the charts to make it to number 4, its highest position since it reached second place in its first week on sale. Hopefully Nintendo of America is taking note of its chart position for a possible localisation. Our Xenoblade Chronicles review goes some way to explaining the game's initial success: it's a cracker. If it doesn't get localized now, I'll pee my pants. Don't worry! I will do my part when it comes to australia. It is a day 1 purchase for me. Good to see it's doing well so this type of game has a chance of Western release in the future. I'm looking forward to seeing some numbers on the sales! Well this is a good start Europe. Keep buying the game! If you bought it once, buy it again! I'm thinking Nintendo will need to see 500k sales to finally crumble. Make it happen! Wow, that's great for a JRPG, and the fact that it wasn't advertised even slightly! It actually came in at number 3 in the individual charts, with Zelda at number 2. NoA decision to not release Xenoblade as well as the other RPGs is maddening when the Wii's lineup is so weak compared to the HD systems this year. I'm pretty sure that Europe overall, not just the UK, is what NoA is looking at in terms of sales and if its worth the cost to bring the game over to North America. According to the dutch gfk charts. It didn't make any impact. It didn't enter the Wii list and it didn't enter the all-platform list. The list comes out on Saturday, so it maybe it just haven't been pre-ordered that much (have to wait for next week to be sure). They are really stupid if they don't put out a North American version now. Thats fantastic that a jrpg like this is doing so well in the all-format charts in the west, hopefully The last story and Pandora's tower will do well too when they're released next year. @Miracleblaze Actually I've seen adverts for it in magazined, various gaming websites (including this one) and while I haven't seen any TV adverts myself, I know that there are some as I've seen some on youtube. I sure hope NOA is going to bring it over here. I pre-ordered the PAL version and am waiting for it to arrive. Frankly, no matter what NoA decides to do about this, i find their attitude repugnant. Wii owners should never be "tested" to see if there is demand for good games, no matter the genre. Not by Capcom or EA, definitely not by NoA! I'm sure Nintendo of America's official statement after people ask them about the game making the charts in EU will be this. "Derp a derr a deerrrr! Never say never though! Derrrrr. You're awesome fans! Keep buying our stuff for no real reason." Will be interesting to see how the game does in the next week(s) since i guess most people interested did preorder it. And while i appreciate the hype Nintendo tries to build i'm not sure it will result in good sales numbers. The sales were very good. The game is already localised in English. Reggie just need to publish it, the cost is minimum. (Ofc it would hurt to do a little lip sync). We want all wii and 3ds rpg's in english. Another thing. New love plus with the right advertisement can sell very well in west. How they know that love sims arent popular if they never publish them? Well, im still waiting for my copy, I pre-ordered it with Game online, I checked the tracking number today & it still says "your item is held as a preorder" which means they dont have any stock. I think for system exclusive games like this the individual format chart is more relevant. In that chart Zelda is at number 2, with Xenoblade at number 3. NoA.... why art thou forsaken thee!?!? Reggie, NOA....do you hear what I hear.....sounds like money. I walked into GAME on Oxford St. on Saturday only to be told they had no copies. HMV not even on display - Oh well, though I'm not normally a RPG fan, and a bit broke at the moment, this looks good so ordered online. NOA just stop being a lazy jerk and just give the fans what they want already jeez!! I purchase this from GAME on Friday afternoon. I played it for five minutes, LOVED IT, but decided to get a refund as I paid £50.00 for the controller bundle and decided that £50 is just TOO MUCH plus I can probably pick up the controller from eBay in a few months. Needless to say as soon as I got the refund I ordered it from Play.com for £29.99 and have this Friday off work .. It's gonna be epic! YAY, this makes me more hopeful for a Pandora's Tower NA release. LOL @JayArr! That is exactly what I was thinking. "If it doesn't get localized now, I'll pee my pants" What Zach said. Japanese RPG's generally sell better in Europe than the States. It wasn't always like this, but now it sure is and that's probably why Nintendo released it here while dragging their heels about a possible North American release. I've played it for 25 hours now and I can alrealy say with confidence that it is by far the best JRPG of the generation and quite possibly the outright best RPG also. @Widdowson91 I dont think that in general jrpg's sell better in Europe than the states. At least according to tracked sale figures, depends on the platform again. I can't remember a jrpg (or rpg) that make good sales in Wii in general though. (were there any decent ones outside Monster Hunter Tri - or Tales of Symphonia? ), That is one of the biggest issues more "traditional" gamers have. Hope Nintendo understand there's a market for it outside Japan, even if its not Final Fantasy. I wont buy Wii U just to play new Zelda (in 4 years) and Mario's and Zumba Fitness 2 again. @dimi Aside from Xenoblade chronicles and the two you mentioned there is also Fragile dreams: farewell ruins of the moon, Sakura wars: so long my love, Final fantasy Crystal chronicles: the crystal bearers, Rune factory frontier so there are quite a few decent jrpgs on wii. @mariofanatic128 You've got a point but outside Fragile Dreams the other titles are hybrids (strategy/management/sim). Quality games all of them, but still far from enough. If only we had Dragon Quest X sooner things could be different. Western RPG's like Mass Effect, Dragon Quest series are great games too. I just hope we will get more RPG's in Wii U. Why can't Nintendo make some new 1st party RPG IP? It only had one day to chart. 8 more days of sitting, watching the clock tick before I can go and pick up this amazing game. Localisation?!! What else needs to be done to it? Are there crucial Cricket matches in it that need to be changed to baseball? Take out all the tea times? All the "oh, Crumbs!" need to be changed to "holy Sh**!". talk of "Football" needs to be changed to "Soccer"? All the club dance music needs to be changed to bad indie rock? They need to add 40 pounds to every character?... make sure all the lightning strikes look more like 110 volts than 220? Change the liquids from metric to american standard? what gives, man? Just change the label and put it out here! @37 No. Monolith Software is a developer that Nintendo owns. Like Intelligent Systems, it's first party. @39 Americans spell funny. "Colour," and crucially for an RPG "Armour" is the correct way to spell these words in Europe and Australia, but the American version of English changed these. "Organise" rather than "Organize," is another example. So yes, there needs to be further localisation (not localization) work done to have the game properly ready for the US. That costs significant money for an RPG, given they're typically text-heavy. But clearly from your sarcasm you're an expect on localisation and the costs involved. 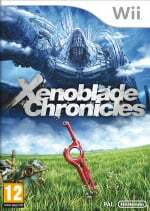 "In a turn-up for the books, Japanese RPG Xenoblade Chronicles has sold well enough to make it to seventh place in the official UK charts"
That's nice to hear! I bought it too, though I just have to get really into it! Of course I'm an expert! Why else would I be here decrying this injustice on the comments of a nintendo fan site?! indeed.. This game intrigues me, technically I mean. It has by far the most complex and larger esceneries present for Wii, graphics on par with MH3 and it moves extremely smooth and doesnt abuse at all of loading from disk. Many many Wii devs must learn quite a lot from Monolith, including Nintendo's dev deps. It's a crime that it's not scheduled to be released over there as I write this, especially when it's such a superb quality game. I've just reached the 35 hour mark and I'm still enjoying it as much as when I was only an hour into it. Great game.